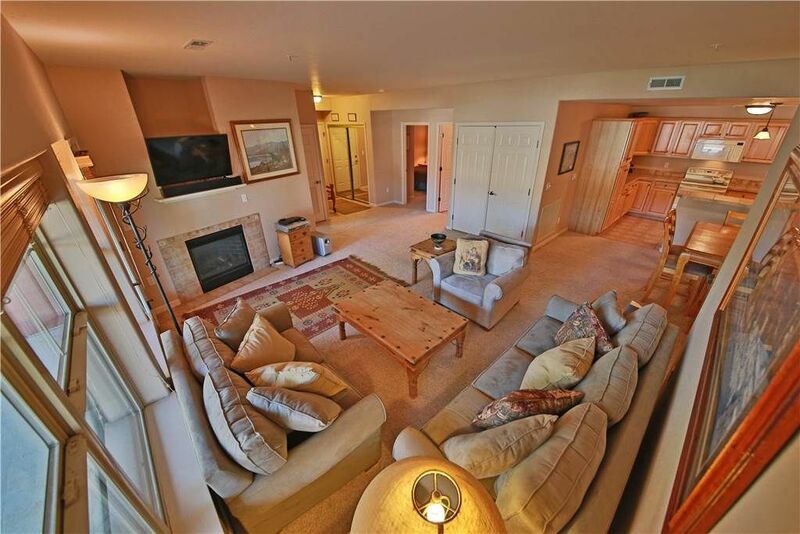 This 3 bedroom, 3 bathroom vacation condo is located in the Waterside West Condominium Complex in Fraser behind Safeway, just 5 miles from the Winter Park Resort and a short distance from the bus stop that runs during the winter ski season. All 3 bedrooms provide a queen bed. There is also a queen sofa sleeper in the living room. There are flat screen televisions throughout the house. Washer and Dryer in the unit and wireless internet access is available. The condo was very spacious and clean. It was a short drive to the mountain and the grocery store. The condo needs new mattresses the beds were not comfortable. In the master suite we could hear the people next store to us talking through the wall. The garage is not connected to the condo nor did the garage opener work for us. Other than those things it was nice. Nice floor plan and convenient to everything. You can tell it has been a rental for a while but it's well maintained and comfortable. Rental company is outstanding. Clean, spacious, excellent location for the wedding we attended at the B Lazy 2 Ranch. Only reason for four out of five stars is that we never found the garage!? But otherwise, outstanding! Highly recommend! Close to everything, clean, comfortable, fairly up to date, spacious, great entertainment system. Bring your own spices and oils for cooking. The staff we checked in with were incredibly friendly and helpful. Check in and check out was quick and easy. The location of the condo was ideal. We walked to grocery, liquor store, breakfast and coffee. The condo itself was spacious, clean and would comfortably sleep up to 8. I would've loved to stay longer and plan to come back for sure!